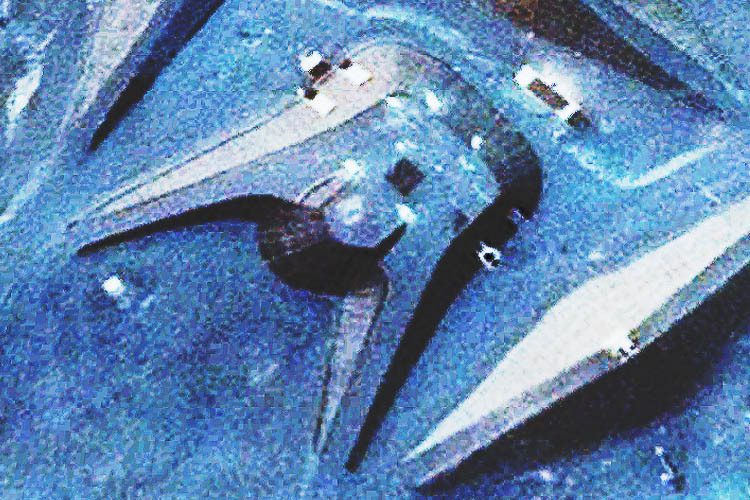 During March and April 2016 a series of videos appeared on YouTube reporting on the discovery of a strange alien-like structure that had been located on Google Earth by UFO enthusiasts who claimed that it was a base for covert alien-human activities. Some of the more sensational and excitable YouTube reporters suggested that it had only just become visible after a storm had swept away the sand that once covered it. Some reports even went as far as claiming it was in a remote part of the desert. The story was picked up by mainstream media who took pleasure in using words like ‘Shocking’ and ‘Star Wars’ in their headlines. Unfortunately most of what was reported and implied was wrong … The base does exist and can be easily seen on Google Earth. It does look fascinating and even alien by the standards of recent Hollywood movies. The base featured on YouTube is not in a remote part of the desert and is located only 30km from the city centre of Cairo. In fact, it’s just 500m from a fairly busy highway known as the Cairo-Suez road. It wasn’t recently revealed by a sandstorm and has been clearly visible on Google Earth satellite images dating back to at least 2005 and before. 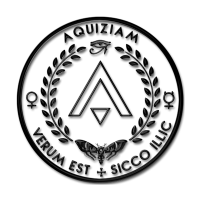 Variants of the design go back to 1986. It’s not the only one! There are actually several in the immediate area. Here are the various co-ordinates. Just cut and paste them into Google Earth. 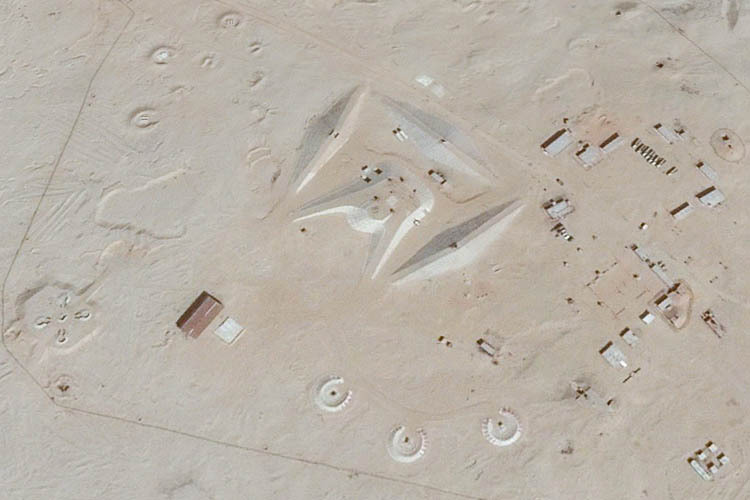 So what are these strange structures in the desert? To be exact they are SA-2 missile launch sites designed to fire an upgraded derivative of the Volga 75 (V75) rocket. Originally of Soviet design, Egyptian scientists reverse engineered the weapon which is now known locally as the Tayir as Sabah (Early Bird) and dates back to around 2006. The format of the structure is based on a typical soviet design that dates back to the late 1950’s. 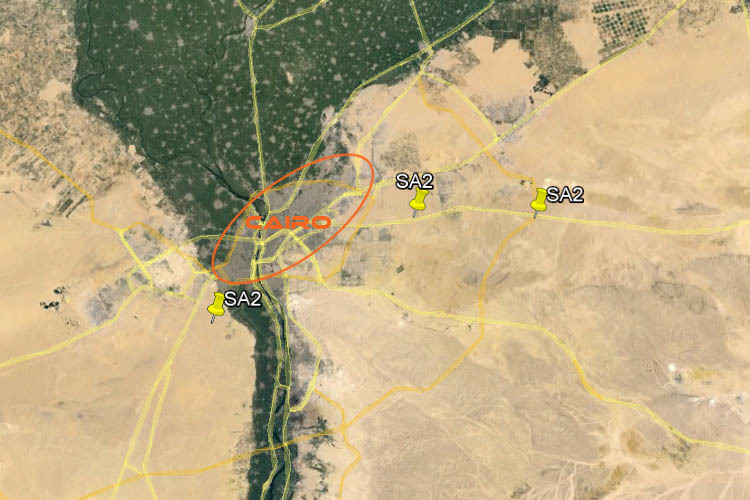 The mysterious circles are where mobile air defence units are stationed when a particular base is active. The mobility of the missiles means they can be moved easily to ensure that an enemy is never 100% certain where they are stationed at any given time. The base shown in the YouTube video is not active. 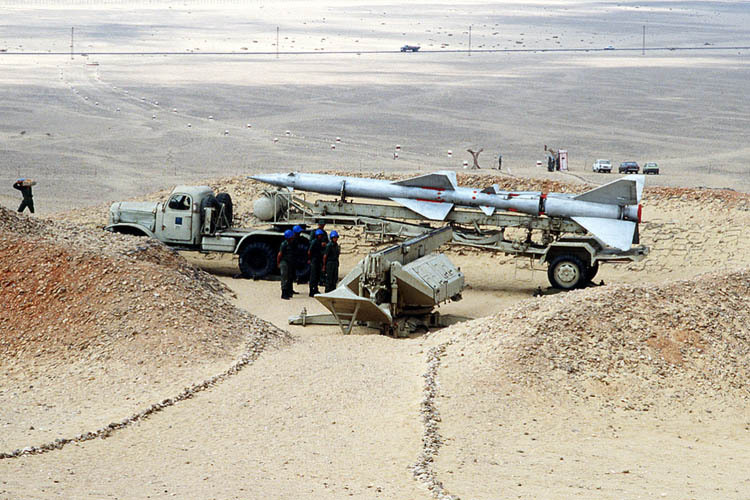 The photograph below shows a similar base, also near Cairo, with its missiles in place. It might look like something out of Star Wars but it is certainly not from outer space. Of course, there is always the possibility that these ordinary military structures are hiding a deep underground city staffed by human-alien hybrids (as some have suggested) but it’s just not very likely.